This entry was posted in Uncategorized and tagged Invertebrates, South Coast, Squid, Volunteer, Washington on 30. July 2013 by coasst. On 1/28/2019 I found a cluster of eggs that look exactly like the ones pictured. Looked up Humboldt Squid and found this site. I live in the South Sound on Eld Inlet. I have never seen these before and I walk the beach daily and have fro 21 years. I have photos if wanted. Lots of squid eggs along Gardiner beach, Discovery Bay, WA. 8/20/2016. Seen odd ones before, but never this many at once. Pictures and video at the web site listed below. 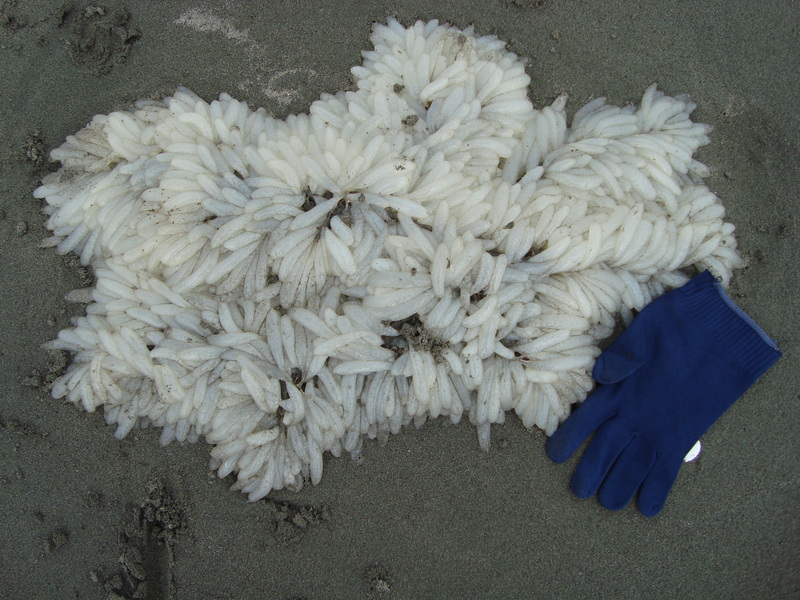 I found more squid egg casings on beach at Copalis Rocks yesterday 6/28/14.